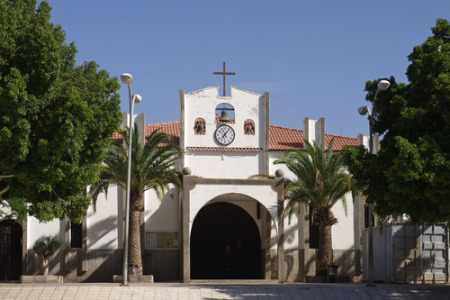 Arguineguin on the south coast of Gran Canaria lies a short distance from Puerto Rico. Originally a small fishing village, the resort retains much of its traditional charm. Arguineguin holidays can be enjoyed at any time of year as winters are warm and summers are pleasantly hot. With a choice of beaches, and a range of recreational activities both in and out of the water, holidays to Arguineguin have broad appeal. Hotels,villas and apartments offer a good choice of accommodation, numerous restaurants cater for all tastes and, although nightlife is fairly low-key, there are some lively bars. Holidays in Arguineguin can be as active or as relaxed as you wish. There are opportunities for water skiing, wind surfing, jet skiing, banana boat rides and scuba diving. The ocean around Gran Canaria has ideal conditions for whale and dolphin spotting and for big game fishing where it is possible to catch blue marlins weighing hundreds of pounds.? ?Golfers will find an eighteen hole golf course close to the sand dunes in a nature reserve in nearby Maspalomas.?? If you want to escape the vagaries of our British weather, check out our cheap Arguineguin holidays and you could soon be on your way. For further information, and to find our latest Arguineguin holiday deals, please use the search facility.